If you want to leave behind the chaos of this modern world for a little while, Don's Windcatcher series is for you, starting with Inheriting the Missing. While these books take you back to a less stressful time in the American West, they have plenty of action, intrigue, and even a bit of romance. Books 1 and 2 are available now in paperback, ebook and soon in large-print versions. Book 3 is scheduled to be released in December 2018. Buy now to start reading. 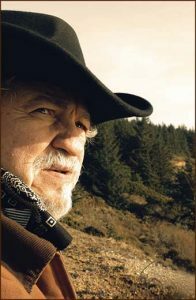 Don brought his love of the wild country and the old ways to the three books in the Windcatcher series. They are full of adventure and are a welcome respite from this crazy modern world. Don left this world in May 2018, leaving us with good memories and his stories.